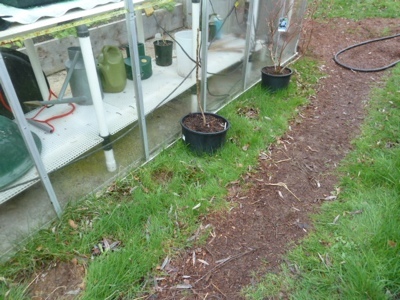 My Home and Garden: The new Blueberry Walk. From beginning to end. Back in May I came up with the idea of a blueberry walk. 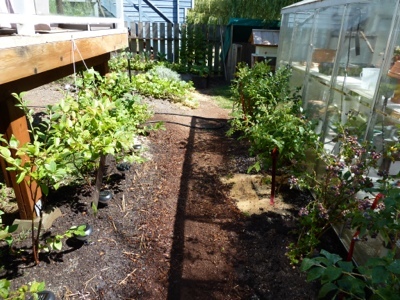 I was standing right in this spot in the photo....looking at my row of blueberries trying to figure out where to put the blueberry plant I bought sitting over on the left in the pot. Beside the fig. Total impulse buy, so no plan as to where it would go. It lived in its pot for a long time. 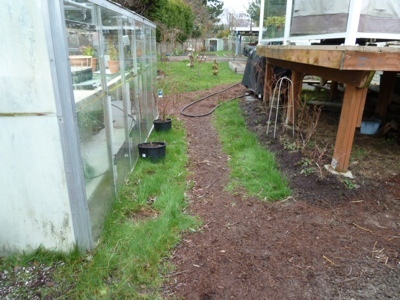 I was gazing down the little path along the blueberry row, and it struck me suddenly that if I excavated the grass strip along the existing row of blueberries, I could move the path there and make a double sided Blueberry Walk. I knew that what seemed like a simple project, would not be. I have a yard of clay. It is awful. In the summer you literally cannot get a shovel into it. It needs to be chipped away. I began with the excavation. It left blueberry roots exposed for a while. 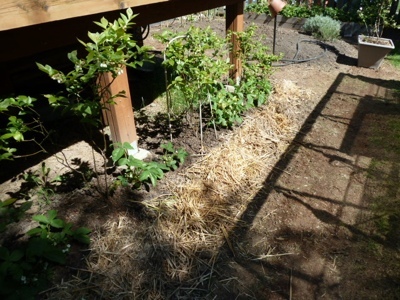 I covered the roots with a layer of straw and kept them well watered. 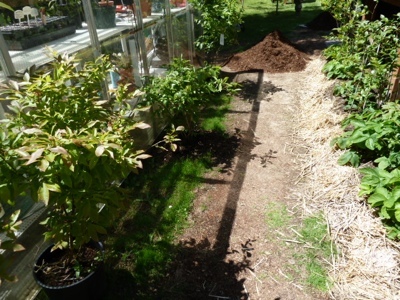 Then I excavated the ridge of soil that was beside the path. Each of these projects took a weekend. 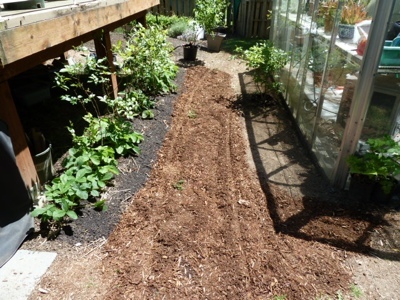 Then the bark mulch path was filled in. So here it is August. 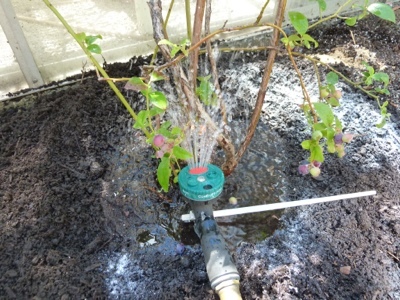 This past weekend, I FINALLY GOT THE LAST BLUEBERRY PLANTED. 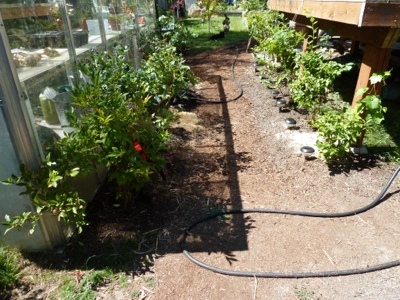 I have not mounded the mulch on them yet, as I've made little moats around them to keep them intensively watered during this hot summer. I will mound in the winter. For all intents and purposes...the Blueberry Walk is complete. It took three months. It looks much better than I had imagined. Also, I cannot believe how many blueberries we got this year. Oh gardening life is good. This pioneer woman is a happy camper.